Dr. Vincent is a physician-scientist currently employed as a research fellow in the rheumatology group, centre for inflammatory diseases at Monash University. He completed his medical training, including advanced training in rheumatology, at the University Hospital Centre of Caen and Paris in France between 1999 and 2010. 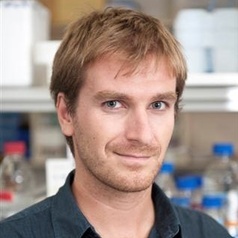 He completed his PhD in immunology at Monash University in Melbourne between 2012 and 2018. Dr. Vincent's specialization is in rheumatology with a focus on autoimmunity, specifically molecular and B cell immunology, and biomarker development in systemic lupus erythematosus. Dr. Vincent has a strong interest in Indigenous Australian health research. Vincent et al. BAFF and innate immunity: new therapeutic targets for systemic lupus erythematosus, Immunol Cell Biol 2012;90(3):293-303.